Interact Club is a Rotary International Service Club for young people between the ages of 12 and 16. It gives young people an opportunity to participate in fun, meaningful service projects. Along the way interactors are encouraged to become responsible citizens of the country & develop their leadership skills. On 24th and 25th June 2017, our school hosted an inter-school event called. MELANGE TOTAL 5 which literally means an amalgam of 5 mega events for the 7th consecutive year. This event lasted for two days and was organised and executed by the students of our school and 21 schools participated in it. students of our school brought plants and the top 3 most unique plants won their owners prizes. This day was celebrated to make students aware of the need to conserve the environment and the importance of trees. Our school participated in Turbulence, Allure, Chrysalis and Cascade and won laurels for our school. 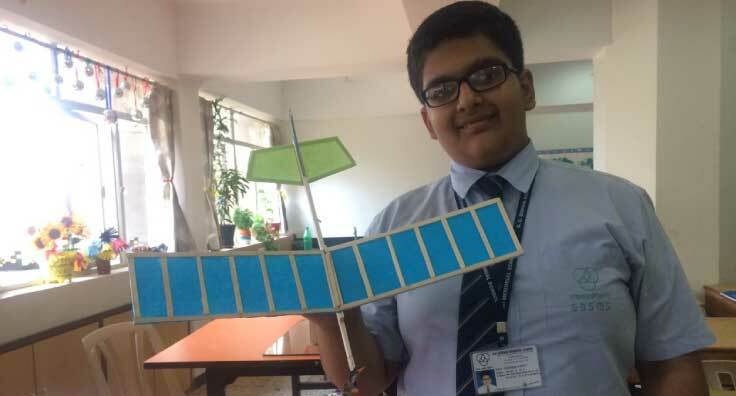 At the Turbulence inter-school event held by the J.B. Vachha School, our school stood first among 21 schools from Mumbai and at Cascade, G.D. Somani was the second runners up amongst 65 schools. In this maths exhibition held in November 2017, our secondary students explained various concepts of mathematics and its application in day to day life through various models and games. 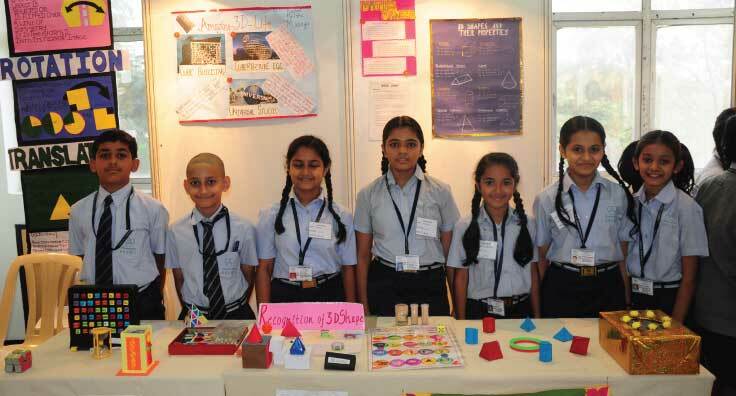 The exhibition received a phenomenal response from parents and students of various schools. Our students took part in various quiz competitions. Our students stood first at the HDFC Ergo Quiz. This year our school was on a winning streak as two teams qualified for the final round. The overall winners from Mumbai city were Antara Bhattacharya and Harsh Rao while Aryaman Gandhi and Sambit Prabhu bagged the third place. Furthermore the overall winners qualified for the final round, in Hyderabad, and came third amongst the other 7 qualified teams. Two students of our school, Anushka Bothra and Antara Bhattacharya, were selected from schools all over India for the NewsWiz Quiz. In the final round of the quiz they competed against students from 12th standard and put up a tough competition. 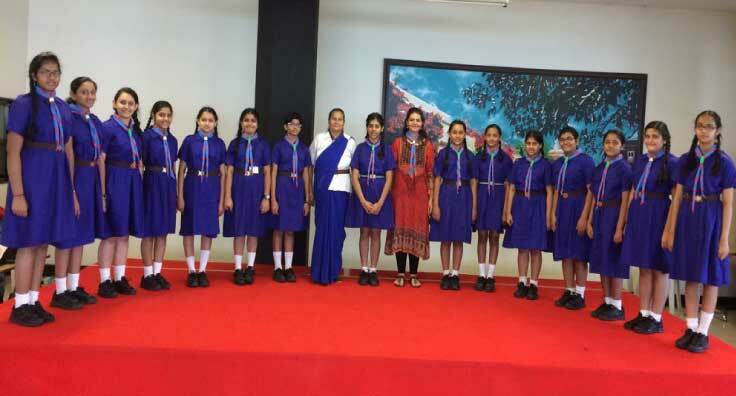 EUMIND is an exchange programme done by G.D. Somani Memorial School. 25th January to 3rd February 2018, our students hosted 31 students from the Netherlands. expose students to different cultures. 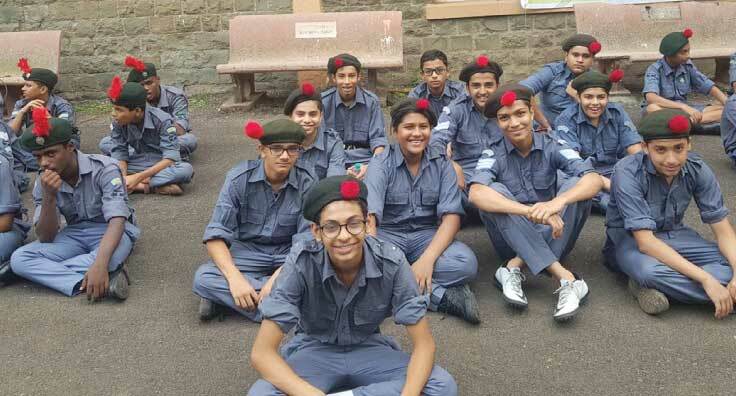 Our Class X students also participated in a Social Service Camp (SSC) and went to the Leprosy Mission – Rehabilitation and Vocational Centre at Nashik where they donated rice, sugar, dal, biscuits and stationery among tribal people. It was an enriching experience for the children that made them realise how fortunate they are and inculcated in them the value of sharing with the less fortunate. 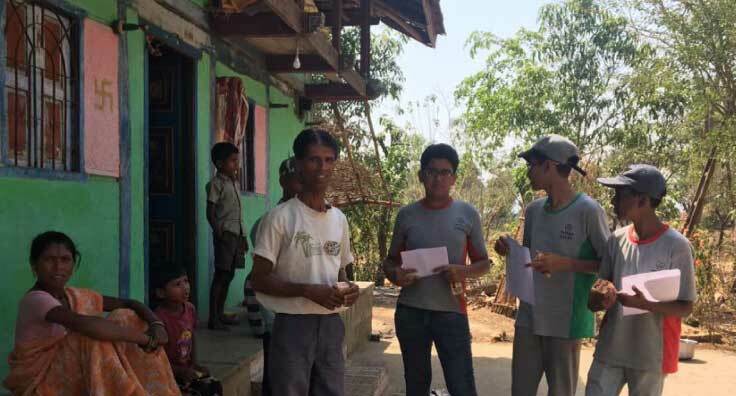 Our Class IX and X students visited a village near Igatpuri for an SUPW camp where they donated food and stationery items. Interactors of Class X went for a Personality Development Camp and a factory visit to Mahindra & Mahindra, Igatpuri as part of their vocational training in April. The purpose of science-math club is to stimulate a spirit of curiosity, inquiry, innovation and creativity amongst students through activities which would supplement conventional education and make science and mathematics an enjoyable and interesting pursuit. Aeromodelling involves design, development and flying of small air vehicles. It is an exciting and interesting way to learn, apply and understand science, maths (dimensions) and engineering principles. Aeromodelling generally involves small sized flying objects like Gliders, Boomerangs and Paper Planes. Aeromodelling gives a good understanding of the real aircraft industry and provides enormous opportunities to develop innovative thinking and implementation. G.D Times is published every year to showcase the aims and objectives of the school. It highlights the events, activities, academics process and achievements of our students. 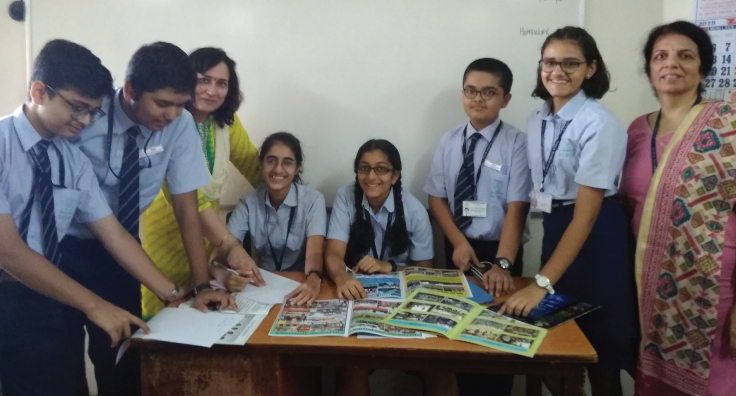 The latest edition in April 2018 highlighted the laurels that our students have won in various interschool competitions and exhibited the excellence of students in all spheres of life. The World Association of Girl Guides is the largest voluntary Movement dedicated to girls and young women in the world. It inculcates innovative non-formal educational programmes, leadership development, advocacy work and community action, empowering young girls to develop their skills and confidence needed to make positive changes in their lives, their communities and their country. The aim of the NCC is to serve the nation and join the Armed Forces, to develop leadership, courage, comradeship and discipline in the cadets. The Annual NCC Camp was held at Goregoan in June 2018. Students took part in shooting and were trained in gliding at Nashik. They were awarded N.C.C Examination certificates after completion of training.